The holidays area chancefor you to show your loved ones how much you care about them. We want to give them something to make them feel special. This something is usually something to hold, something to look at, something to use, or just something to add to all the other stuff thatwe already have in our homes. 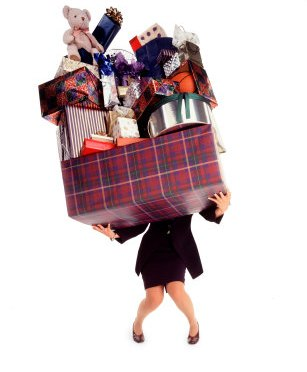 Do we really need more STUFF?What could you givethat wouldn't add to all thestuff your loved ones already have?A gift of car repairs or maintenance tells the person you care aboutTHEM and their SAFETY. Car maintenance is probably the least exciting part of owning a car. Paying for repairs is never fun especially during the holidays. Handling these repairs for your loved ones is helping them get something checked off their to-do list. What better way to show you care? Call us and find out how you can give your loved ones a uniqueand thoughtful gift!